I am in my late thirties and divorced. I have been seeing a man for five months who is also divorced and has two children from his first marriage. We have reached the point where we are spending almost every week end together. Last week he told me he does not feel as strong for me as I do for him and we should probably see other people. I do feel very strong for him but I think his problem is that he got burned really badly when his wife left him and he can’t get over it. I would do anything to keep him but I don’t know how. Please help. Sometimes the best thing to do is to do nothing. You cannot force someone to love you. The only way to handle it is to make him think he is doing something of his own free will. Otherwise, someday he will start feeling like you pushed him into his decision. Cut him off and stay away from him. If he starts to desperately trying to fix things it might be worth working on. If not, you are better off alone. I have been living in Belize for the last three years. I am a woman in my late forties, in very good shape and everyone tells me I look young for my age. I got involved with a guy in his late twenties and we have been together six times in the last two months. He is now saying that he loves me and he wants us to be more involved. I want a relationship in the worst way. Do you think he can be trusted? Be careful. You might get a relationship in the worst way. Are you buying the drinks? Are you paying the check or buying him gifts that he can’t afford to buy for himself? Is he looking to marry you and possibly move to your home country? If so, you are probably headed down a wrong road and you would not be the first woman to do it. Some women are considered users, taking advantage of older men, spending their money and leaving them broke. In Belize, we are equal opportunity users. Young men take advantage of older women in the same way. His feelings might be genuine but you can’t know for sure in two months. Observe the relationship for a year before inviting him into your life. 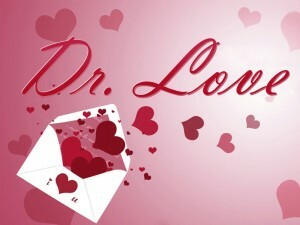 Doctor Love: Bad Customer Service?